Brigid P. Gallagher aspired to become a doctor but God had other plans! She spent thirteen years in the life assurance industry, including Actuarial and Life Underwriting departments, before following her heart and training as a Natural Medicines therapist. Brigid trained in colour and crystal healing, aromatherapy, reflexology, nutritional medicine, flower essences, electro-crystal healing, radionics, and E.F.T or Emotional Freedom Technique. She practiced and taught Natural Medicines for 20 years, teaching at Stirling University’s Open Studies and Summer Schools from 1993 to 1999, setting up the Scottish School of Holistic Healing plus a therapy center and shop in Stirling, Scotland. In 1999, she relocated to Donegal, Ireland the home of her ancestors. Four years later, she succumbed to a mystery illness which was eventually diagnosed as fibromyalgia and possibly rheumatoid arthritis. Stopping the world for 2 years, forced Brigid to reassess her life, and thus she began retraining in Organic Horticulture. She taught this subject in schools part-time until early 2016. Her garden was featured in the Donegal Garden Trail in 2012, 2013 and 2014. 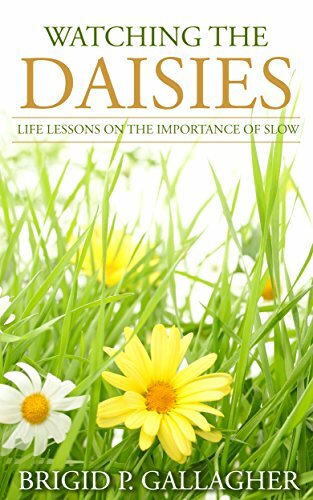 Brigid continues her lifelong passion for gardening, singing and writing in her new life of SLOW. Brigid does a great job in capturing her journey of health challenges and bringing spirituality to life to help a person move through difficult times. A wonderful book! I forced myself to put it down a couple of times because I didn’t want to stop traveling vicariously with the author. Gallagher has written a memoir that takes to many beautiful countries but also on her journey of family loss, health and commitment to learning. Her gifts as a healer and gardener add to the beauty of the book. I have chosen to release my annual haiku collection in time to celebrate National Poetry Month, in April. A Haiku Perspective 2017 is filled with smiles, laughter, wisdom and creativity, all cleverly disguised as haiku poetry. Enjoy! My book, GO YOU some encouragement when you need it, is a pep-talk in a book! Each page gives you a quick way to start your day, help you through a moment or even provide someone else words that can inspire them to a better life. We can all use a cheerleader when one isn’t available, this book fits the bill!! Most of the books I have published here are centered in poetry, Haiku poetry to be exact. Much of the feedback I receive about the haiku poetry is that people can really understand the messages and they appreciate that the poems are short and sweet! 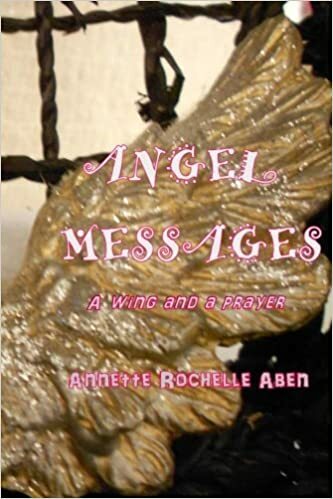 Angel Messages – a wing and a prayer is my first book about Angels. Filled with photos, prayers, poems and prose of and about Angels, this book will delight any Angel lover in your life. Check out the reviews, people are drawn to the inherent inspirational nature of this book and as result is fast becoming their favorite. You can have it right away using the Kindle option or order a paperback copy (or two) and carry it with you wherever you go. I mentioned that many of my books are filled with my poetry and several of them combine that with my love of taking pictures. Books that feature poetry and photos include Perspective, it’s all about replacing one thought with another, PhoKu, visual perspective haiku and BooKu, Halloween haiku. Perspective has a wide variety of pages that can feature prose, poetry and nature photographs, while PhoKu is filled with the photographs I have taken in nature with Haiku poetry added to them, hence the title: PhoKu. BooKu is a “behind the scenes look at how Halloween decorations feel about their jobs. All three of these books are available in print and Kindle formats. There are several other books planned for release this year alone, So please, check back frequently to see what I have published and share what YOU are doing! Cheers!! What a Beautiful book. Written by a very talented gifted author. I am so happy she finally put a book together of her Angel Messages that she sends out every day. Of all the books Annette has written this by far is my favorite. I don’t think I can say enough about this book or how proud of Annette I am for putting it together. All of her books are a labor of love and worth having. They are also great for giving as gifts. Inspirational messages are always a hit with me. In a world where you could be anything, be inspirational. That’s what Annette Rochelle Aben has done with this book. Open your heart and allow yourself to be inspired too! I absolutely loved this book! very touching and loved it from the front page to the back and I would highly recommend this book if you needed your spirit lifted!!! I loveAnnette’s books! She is a wonderful writer author! A writers’ journey can be a lonely and arduous trip and the success of a writer is the collective effort of all those who surround him/her. You are welcome to promote your book on Author Zone. To learn more check this. ← So April is Done and I’m No Fool; I Hope? Love the author zone posts! Jacqueline thanks for this information. Annette and Brigid are my friends I am to order for these books, it is long since pending. What a novel theme! The importance of slow. Love it. We do miss so much in our hurry to be/do/go somewhere else.